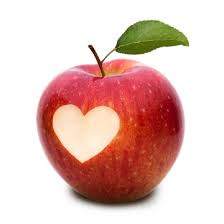 “An apple a day keeps the doctor away,” is a phrase that many have heard since youth, likely spoken by a carer who was trying to get some fruit into a picky eater. Science has also proven the benefits of this wisdom. [i] Pomegranate has a similar reputation, particularly with respect to cardiovascular health. And a fast up-and-comer is the bergamot citrus, with cholesterol-lowering benefits at the top of its list of virtues. But does the data actually support the purported benefits of these fruits? A look at the clinical studies suggest it does, at least where cardiovascular health is concerned. 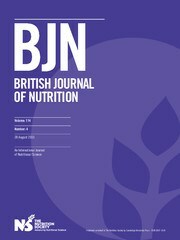 The British Journal of Nutrition published a review paper in July 2015, exploring the relationship between inflammation, diet and health. Whilst this is neither new nor novel, the momentum is becoming clear. 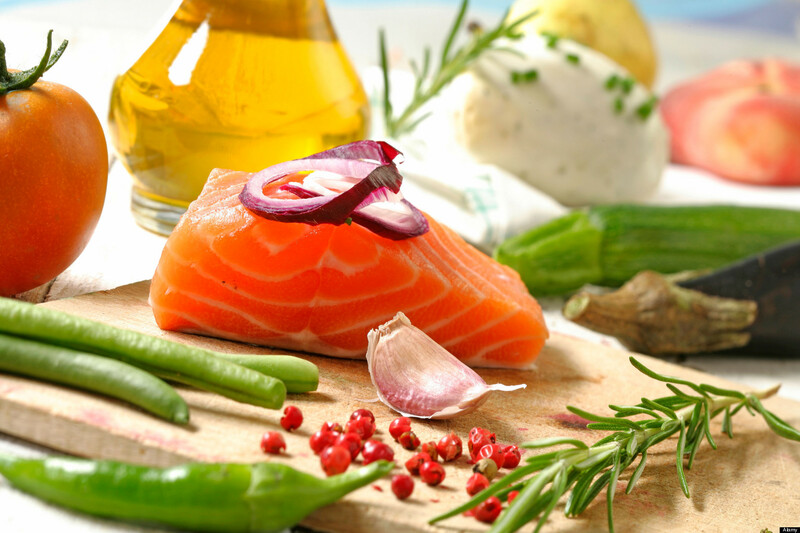 There is a steady awareness in research that the consumption of certain foods and the absence of others contributes to a provocative change in defence molecules with the result that many of the non-communicable diseases that blight western health care can develop and thrive. This open access article is well worth saving for those refresh reads. The importance of chronic low-grade inflammation in the pathology of numerous age-related chronic conditions is now clear. An unresolved inflammatory response is likely to be involved from the early stages of disease development. Unless you have been living in a far flung part of the world where access to data is limited most people are aware that sugar has finally been determined to be a far more problematic part of human health decline and disease risk that the much trumpeted but now derided role of fats. Recently poularised opinions, driven by scientists such as Robert Lustig and communicated via films such as Fed Up have in the minds of many made sugar the new tobacco. 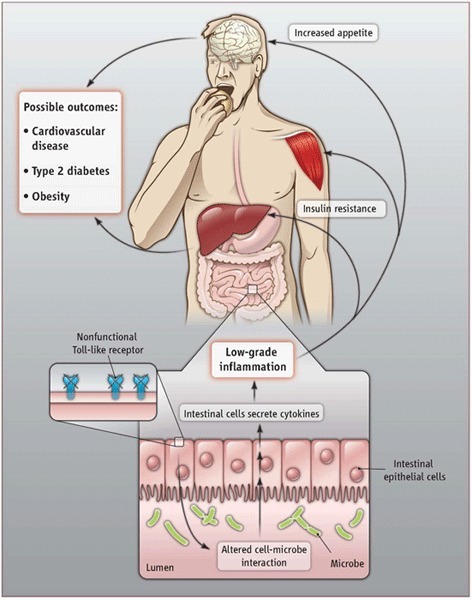 The Gut Microbiota in Internal Medicine: Implications for Health and Disease. 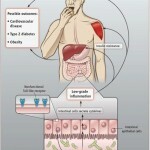 A free to access paper published in the Netherlands Journal of Medicine in Feb 2015 explores the opportunities for health care management by understanding the role of the commensal organisms in the human gut, whilst there are many hundreds of papers published every month now on the microbiome and implications for care, there is still much to be learned. Old views are being changed rapidly and that throws up confusion and concern, indeed the clinical principles explored since Metchnikoff mainly by non conventional clinicians have obvious but inconsistent implications, and as we constantly discover subtle variations in composition and gene variances relating to the organisms that reside in and on us, the implications are that we need to develop some additional skills (knowledge) to really make this metabolic organ work with us. 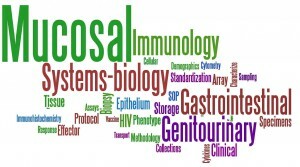 Food, Bugs, Transcription Factors and Genetics In Gastrointestinal And (Mucosal) Immune Function: How to Leverage Our Current Understandings to Achieve Better Local and Systemic Health Outcomes. The incidence of chronic illness, autoimmune disease and multiple conditions that manifest as inflammatory driven and functionally depleting states are exponentially rising, presenting clinicians with increasingly complicated cases to manage and resolve. Yet genetic drift alone cannot account for the rapid increase in incidence, and lifestyle and environmental pressures are recognised as strong candidates for cause and resolution. Hence, it is increasingly rare that a single point of intervention of treatment or modality is adequate to mitigate risk or resolve problems of these illnesses and as such a multipoint approach is increasingly attractive and necessary. “Diet is a central issue when it comes to preserving our gastrointestinal health, because by eating and digesting we literally feed our gut microbiota, and thus influence its diversity and composition,” says the distinguished microbiota expert Professor Francisco Guarner (University Hospital Valld’Hebron, Barcelona, Spain). If this balance is disturbed, it might result in a number of disorders, including functional bowel disorders, inflammatory bowel diseases and other immune mediated diseases, such as coeliac disease and certain allergies. Also, metabolic conditions, such as type 2 diabetes, and perhaps even behavioural disorders, such as autism and depression, can be linked to gut microbial imbalances. Although a disrupted microbial equilibrium can have many causes — infectious pathogens or use of antibiotics among them — the role of our daily food and lifestyle is crucial. Thus, the maintenance of our gastrointestinal health is to a considerable extent in our own hands. 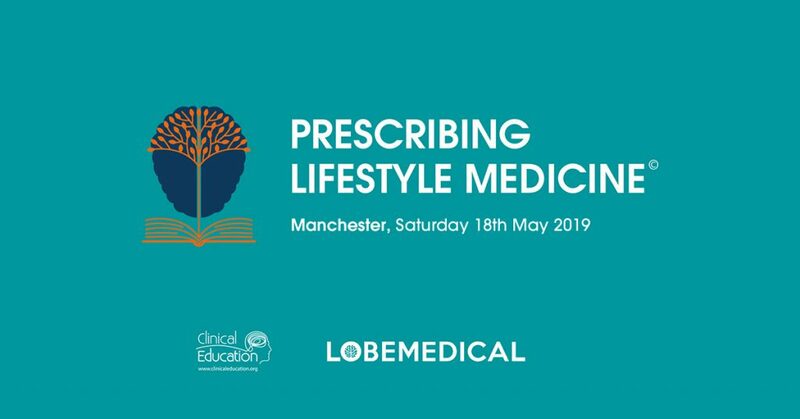 It’s one of those great paradoxes, that trouble researcher’s, clinicians and their patients – why is there so much variable information about the role diet has in heart health and why can we not have a universally agreed approach to one of the world’s greatest killers. After all it is estimated by the Heart Foundation that by 2020, heart disease will be the leading cause of death throughout the world. So when a heart controversy related to dietary choices reaches a position of virtual irrefutability we should all take a step back and look hard at what this evidence is and then we should feel a strong desire to implement the recommendations in our personal and clinical lives. Over the past several years, studies have revealed an astonishing diversity in our so-called microbiome. A five year project utilising researchers from around the world has been constructed to identify our mutual cohabitants that define our microbiome. 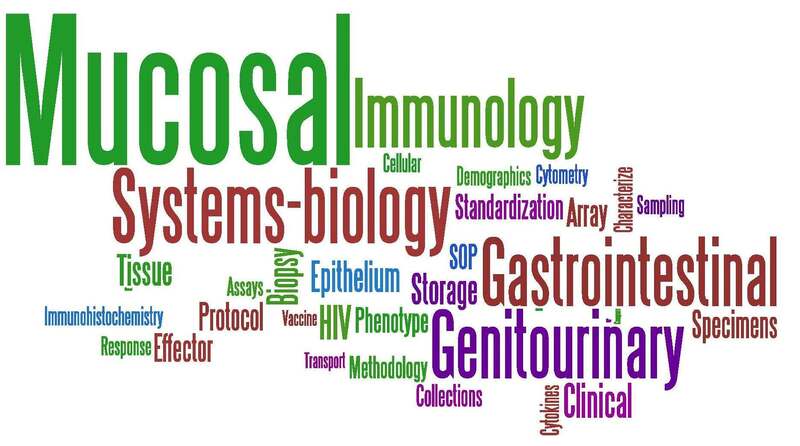 In Europe the MetaHIT project has pulled 8 countries and 13 academic partners together to add further data to this project. University of Nebraska-Lincoln researchers embark on a long-term mission to improve overall health by unravelling the nuances of the gut.